Fulcrum leverages our unique mix of technical experience, engineering infrastructure, and thorough understanding of customer requirements to produce high-quality manuals and technical animations in-house. At Fulcrum we produce high quality manuals to meet our customer’s needs. 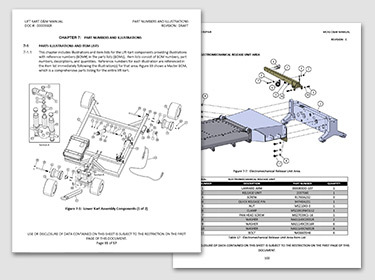 We have produced manuals for major OEMs, the US Government, and our own products. 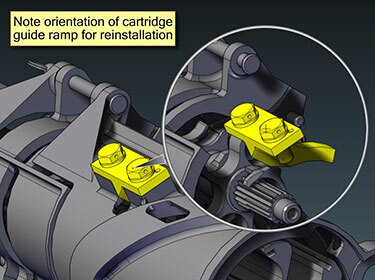 Our manuals incorporate CAD based graphics that can be produced in full color or vector line art. .
We believe that ‘a picture is worth a thousand words’. We develop animations for complex technical tasks, training, and marketing. Animation can be a very effective method of communicating a large amount of information in a short period of time. Animations used to demonstrate complex technical tasks also transcend language barriers with customers for who english is not their first language.